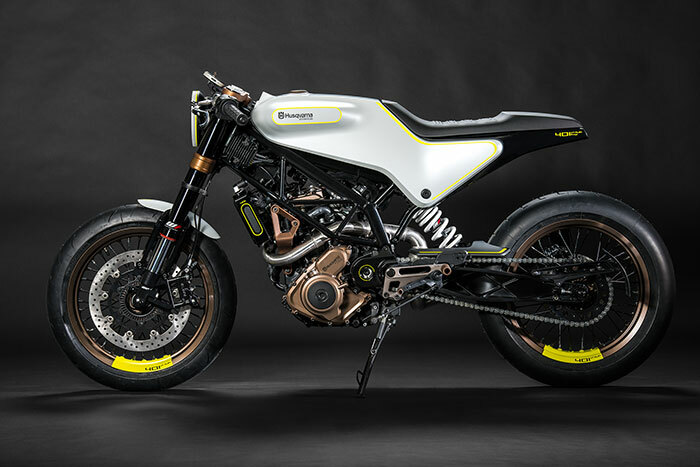 Now in 2014, the new Husqvarna 401 concept bike draws on the rebellious spirit that was born in that golden age. 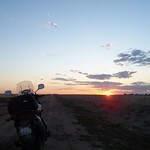 The freedom, simplicity and honesty of man and machine united. Compact and agile – expertly crafted to deliver minimalist styling with exceptional performance – reduced to the bare essence of what a motorcycle should be. The Husqvarna 401 VITPILEN (Swedish for ‘White Arrow’) draws on the DNA of the pioneering 1953 Silverpilen street bike. That was an iconic Husqvarna model, which was the brainchild of famous Swedish industrial designer Sixten Sason and started a motorcycling revolution. The new 401 VITPILEN is a groundbreaking design in its own right – interpreting the functional simplicity of the classic Silverpilen (‘Silver Arrow’), combining it with modern technology, cutting-edge design and premium quality hardware to deliver an uncompromised, genuine riding experience for the street. Husqvarna’s lightweight single-cylinder models proved wildly popular in post war Europe, and motorcycle sales climbed steadily right through to the golden age of 60’s and 70’s, when Husqvarna’s legend was truly forged. The eager post-war generation was hungry for something new and crazy to capture their imaginations. Momentum from the fast growing offroad movement in Europe spread to America and struck a chord with a new breed that was fascinated by the thrill of riding wild motorcycles and exploring far off the beaten track. It was new, creative, rebellious, raw and full of excitement. Like my old drawing teacher used to say, "Some things survive better as an idea". I get what they are trying to do but don't think they have arrived yet. I can see it could be cool but there's some cringe factor here still. I'm sure it's a killer engine but the styling is too spare for me. I gave it a cool as a concept, but as a road worthy machine it probably wont cut it. Styling is a little off putting, HP is low and once you start hanging things like mirrors and turn signals on it, it wont get any better looking.....still, as a conceptual piece, a solid cool. ibanrfknm wrote: A purposeless design. Not really. Granted it will probably never see production in its current form, but from these wild concepts come some proper machines. You should look at some of the Ford Mustang pre-production concepts. Wild, unbelievable and down right bizarre, and yet from those concepts came a winner. Same with this machine, no doubt some of the design cue and tech will find their way down into some near future designs. When I look at the picks, I also cringe, but I also keep come over back for another look. Designers do need to explore the outer edges of the envelope. Looks like a concept bike from the early 1970s and fugly to boot. What a weird and odd looking minimalistic motorcycle. But I can see this as a base for future Husqvarna street bikes. 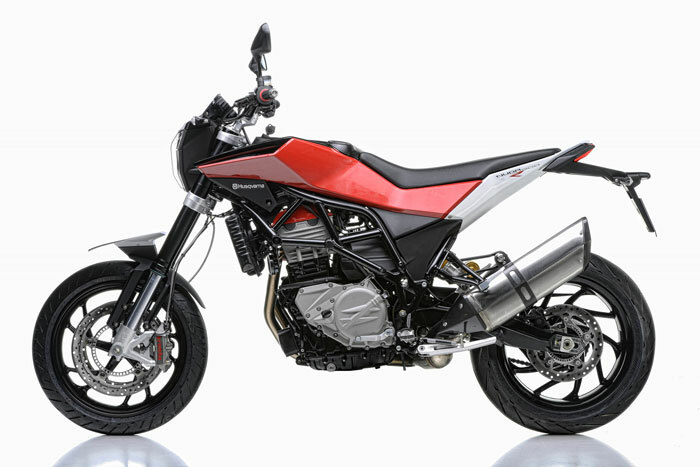 Don't forget Husqvarna had the "Nuda 900" not too long ago so I'm guessing they are trying something new again on us here. As ceemes said, it's horsepower is a little low, but don't let that number fool you too much as the bike weights in at under 300lbs! Over all a neat design with it's white/black/copper/yellow look. The rims are pretty unique as well. Sorta a bike that will challenge a Ducati Scramber I would guess. Looks as uncomfortable as heck. Probably would be fun -- 10 minutes at a time. I'm not really digging it. 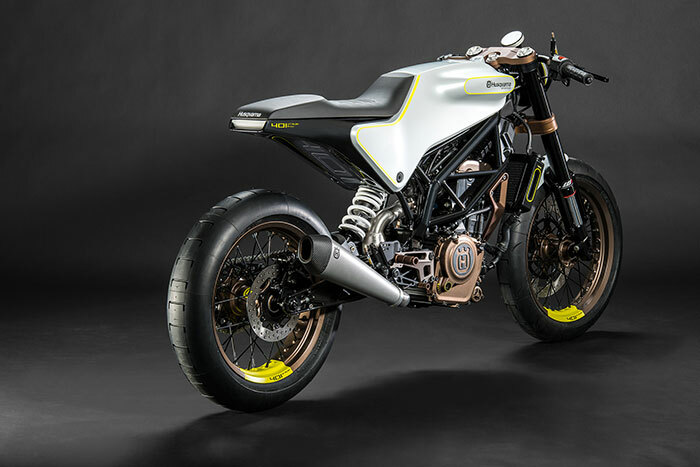 NOTES: Husqvarna explores the street bike market once again with 3 new concepts (The 401 Vitpilen is one of those). Futuristic, angled, minimalistic, like modern art on two wheels. Not everyone's cup of tea, but one would be hard pressed to say they didn't like at least 1 design element of the bike. Like any concept, you have to start somewhere. Good to see Husqvarna trying something new and going that far out on a limb, hopefully we will see a radical street bike from Husqvarna in the future. Get excited as the next TMW Cool Wall bike is now up for voting and discussion, have fun! Thus the starts of our New 2015 Cool Wall at the #1 spot! At 60% Cool I don't expect it to last there, but for now, Husqvarna can say they have the COOLEST BIKE OF 2015!